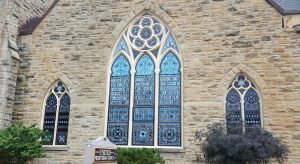 United Presbyterian Church (situated near Suny Cortland) started a restoration project to restore their century old fourteen stained glass windows. 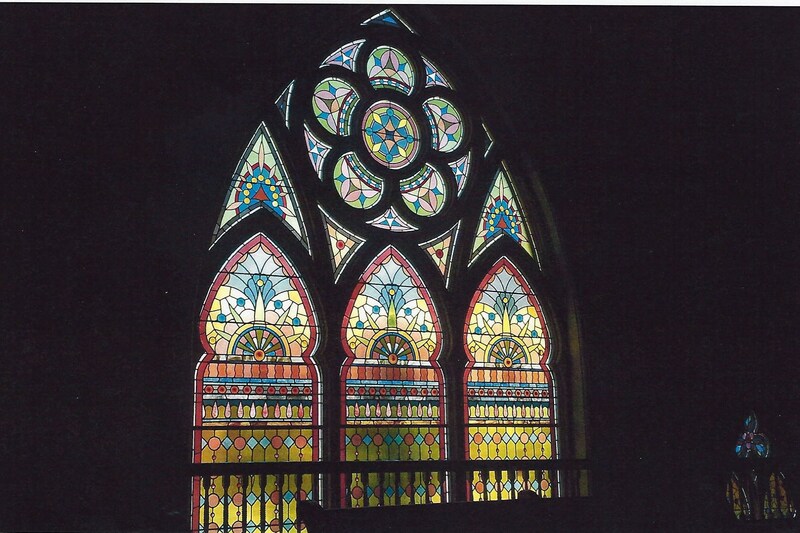 The church contracted a local stained glass company to take out one window to start the process. 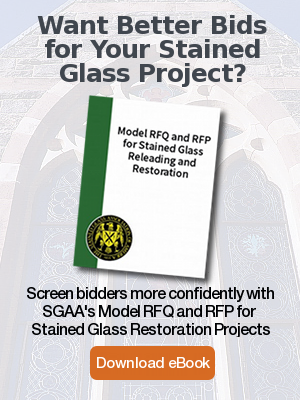 The turnaround time was a lot longer than originally anticipated, so the church committee did a search looking for a stained glass firm with historic restoration experience. 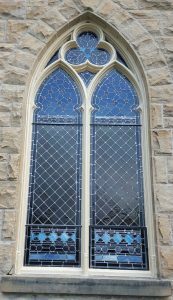 The committee eventually came across Rohlf’s Stained and Leaded Glass Studio’s website and reached out to establish a meeting. 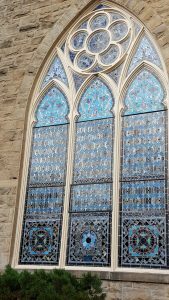 Peter Hans Rohlf (third generation), President of Rohlf’s Studio, went to inspect the stained glass windows with his son, Zachary (fourth generation) on site and was able to submit a survey plan, specifications, and proposal that would allow the church to have the stained glass windows and frames completely restored in approximately one and a half years over three phases. Rohlf’s was quickly awarded the contract and signed on in the fall of 2014 to take over the project and began removing phase one. The first phase saw the removal of the north elevation. Once out, the windows were brought back to the studio, where digital photos were taken; the windows were rubbed, dismantled, and, releaded with all new restoration lead came. The frames for each window were repaired with epoxy, then primed, and painted. Once completed, the first phase was reinstalled in the church and the second phase was immediately removed and given the same detailed attention as the first phase. The process was continued with the third phase. The only difference was the large front window that ran through the balcony where the organ pipes were. Rohlf’s Studio installed a solar bronze glass on the interior to protect the large organ from dust, sunrays, and to control the temperature change. 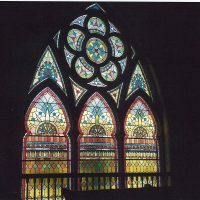 The windows are thought to be over one-hundred years old. 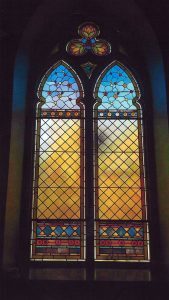 They are Early American windows with geometric designs that consist of cathedral and opalescent glass. 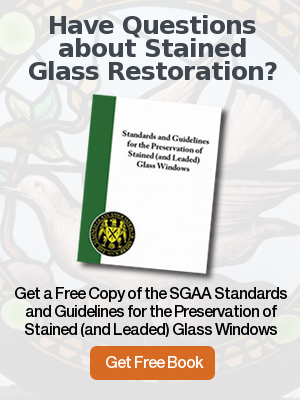 The original protective glazing was removed, and there was no new protective glazing added, so that the exterior could take on their original architectural beauty of the building as intended. Rohlf’s Studio kept to the time frame they had originally estimated and completed the project in July of this year. The pastor of The United Presbyterian Church was more than gracious and commended the onsite crew in particular for their hard work and effectiveness.